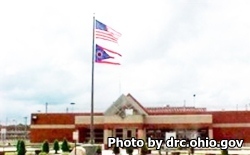 Trumbull Correctional Institution is located Leavittsburg Ohio. It is a close custody prison for adult males that is comprised of the main facility, which houses the close custody offenders, and a minimum camp, which houses minimum custody inmates. Trumbull Correctional Institution houses approximately 1,520 inmates. It is considered to be the safest, cleanest and best rated level 3 prison (close custody) for rehabilitating inmates. Violence still occurs at this prison but at a much lower rate then the average for this custody level. Trumbull Correctional Institution participates in the prison industries program and allows inmates to work in a recycling operation and in a pallet program. Offenders also have access to adult basic education and literacy classes and can earn a GED while incarcerated. Vocational classes are available in culinary arts, carpentry, plumbing, welding, tailing, maintenance, recover operator, animal training and computer drafting. Inmates at this facility may be eligible to participate in community service activities such as training dogs for adoption, creating wooden toy for children, and hats for the homeless. All visits at Trumbull Correctional Institution are by appointment only. You must call (330)-898-9661 at least four days in advance to schedule an appointment. General population inmates have visiting on Wednesdays, Thursdays, Fridays, Saturdays, and Sundays in two sessions. The morning visiting session is from 7:45am-10:45am (processing stops at 9am). The afternoon visiting session is from 12pm-2:45pm (processing ends at 1pm). Trumbull Correctional Camp does not require appointments for visitation. Visits are on Wednesdays, Thursdays, Fridays, Saturdays, and Sundays from 7:45am-11:30am (processing stops at 9:30am) and from 11:30am-2:30pm (processing stops at 1pm). Inmates are allowed six visits per month.